but short-lived, a summer replacement which kept a time slot warm and whose star after its conclusion returned to film. It was followed one year later by the even more popular The Adventures of Philip Marlowe on rival network, CBS. 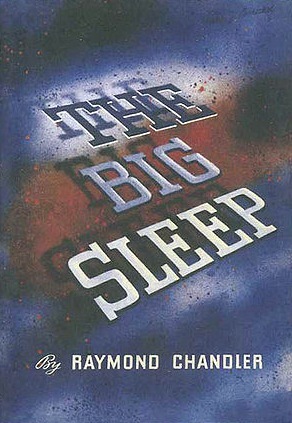 Philip Marlowe was first introduced in the 1939 novel, The Big Sleep (although re-printings of earlier Chandler works would rename the title characters “Carmady” and “John Dalmas” as Philip Marlowe. In film it worked the other way, with Philip Marlowe being renamed “The Falcon” in his first two outings. Marlowe first appeared on screen as himself in 1944’s Murder, My Sweet. He was most famously played by Humphrey Bogart in 1946’s The Big Sleep. My favorite Marlowe, however,was Elliott Gould in 1973’s The Long Goodbye. On radio, Philip Marlowe first appeared in 1945, in a Lux Radio Theater episode titled “Murder My Sweet.” NBC’s The New Adventures of Philip Marlowe debuted on 17 June 1947 starring Van Heflin as the detective. It was a summer replacement for The Pepsodent Show Starring Bob Hope and retained that series’ sponsor for its short duration, Pepsodent. The New Adventures of Philip Marlowe debuted with an adaptation of one of Chandler’s best short stories, “Red Wind.” All of the series’ episodes were adapted by Milton Geiger (Perry Mason, Dragnet), who also wrote screenplays, theatrical works (Edwin Booth), and short stories. It was produced and directed by James Fonda, who would later produce television shows like The Amos ‘n Andy Show, You Are There, Dennis the Menace, Hazel and others). The show’s music director was Lyn Murray, a composer, conductor, and arranger known for his earlier work (at CBS) with Bing Crosby, Burl Ives, and Louis Armstrong. The show’s announcer was Wendell Niles, a man whose voice was heard on a great many radio programs. In addition to Heflin it featured Harry Bartell, Lurene Tuttle, William Conrad, William Johnstone, and Gerald Mohr, who a year later would of course star as Philip Marlowe on CBS’s, The Adventures of Philip Marlowe. “Red Wind” was followed by “Trouble Is My Business”, “Circus Story,” “King in Yellow,” “The Sandman,” “Gold Fish,” “The Orange Dog,” a second “Trouble Is My Business,” and five more episodes, the titles of which are lost. The finale of The New Adventures of Philip Marlowe concluded its thirteen episode run on 9 September after which the show’s slot was filled by Favorite Story. 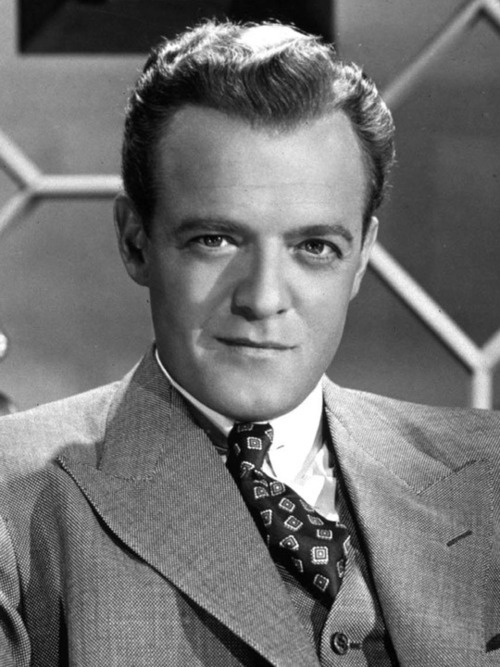 Van Heflin almost immediately returned to film, next appearing on screen in Green Dolphin Street. The public was hungry for more Marlowe and, played by different actors, he subsequently showed up on Suspense, again on Lux Radio Theater, Hollywood Star Time, and the series, The Adventure of Philip Marlowe. Van Heflin ultimately acted in 66 film and television roles, his last being 1971’s The Last Child. On 6 June of that year he suffered a hear attack whilst swimming and after weeks in a coma, died on 23 July 23, aged 60. His ashes were scattered in the ocean. < Previous One Album Wonders: The Paris Sisters Sing Everything Under the Sun!!! Neat article, but I have to say “The Adventures of Phillip Marlowe” was far better. No disrespect to Heflin, but Mohr did a much better job as Marlowe. Heflin is a great radio actor, but for the role of Marlowe, Mohr was pretty much perfect. Even Chandler himself said Mohr fit the character much better. Lastly, if you are a fan of these old radio shows, especially detective shows, the free podcast “Down These Mean Streets” is really good. Not only does the narrator upload good episodes, but also gives a breat and interesting bit of history about the shows/actors at the start of each episode. Nice article. I really enjoyed reading it. Compare Heflin’s “Red Wind” with Mohr’s, and I think you will see who was the better actor (as well as the better Marlowe). I agree. I began writing about the program as it’s usually treated — as one series. However, the different actors, different networks and even different titles convinced me that I should write one entry for “The New Adventures of Philip Marlowe” and another for “The Adventures of Philip Marlowe”… I just missed the anniversary date on the second, superior program. 0n the other hand, I find Heflin’s “Red Wind” superior to Mohr’s; whatever the various merits of the two series.